Welcome to the official site of the Stołowe Mountains National Park (PNGS) Ecocentre. Ecocentre is a facility of PNGS for education and exhibition, and organises lessons during which you can learn more about the natural and cultural heritage of the region. To visit the Ecocentre please book a visit for a specific date and time. See you there! What is new in nature? 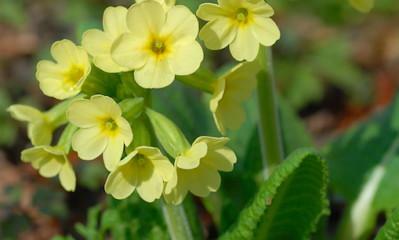 The true oxlip starts flowering. Its bright yellow flowers are grouped in umbels at the top of the stem. It occurs on humid meadows, bushes and in deciduous forests. In folk and herbal medicine this plant is considered to have medicinal properties - and is particularly useful for treating colds. Intense activity takes place in nature. The animals that hibernated during winter: dormice, badgers or hedgehogs begin the search for food. Typically in April the amphibians found in the Stołowe Mountains stop their breeding season and start the so-called trophic season, during which they focus on feeding. It is mating season for birds. Billberry produces green-pink flowers and lingonberry has white-pink flowers in the upper portions of the Stołowe Mountains. Both species are included in the heather family and grow on acidic soils. 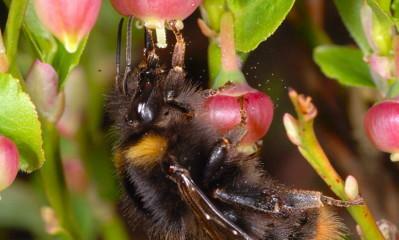 Their fruits constitute a source of food for numerous bird species and small mammals. How was PNGS Ecocentre established? “Construction of Ecocentre under the management of Stołowe Mountains National Park” project. - The Park protects nature but apparently there are also species, which are not quite welcome. So how does this protection work? - What are the most important attractions of the Stołowe Mountains National Park? 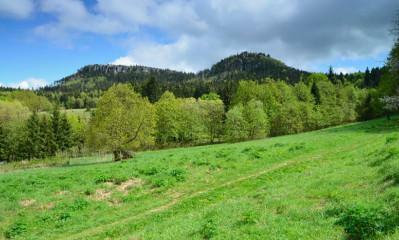 - Although Stołowe Mountains take up a rather small area there are several unusual bird species. Which of them are particularly noteworthy? - Even though it is easy to find interesting plants in the Park, encountering wild animals does not happen often happen. - The symbol of this region is the so called “Rose of Kłodzko” a plant with yellow flowers. - What can we find at Great Szczeliniec? - On the map of Stołowe Mountains National Park we can see that not all interesting areas are made available to tourists. What are strict protection areas? - Is it true that there is a labyrinth in Stołowe Mountains National Park? - Where did the Park’s name come from?